I have done the path twice recently, once in the anti-clockwise direction and once clockwise. Both are equally spectacular, but for some reason the clockwise route seems to be faster. 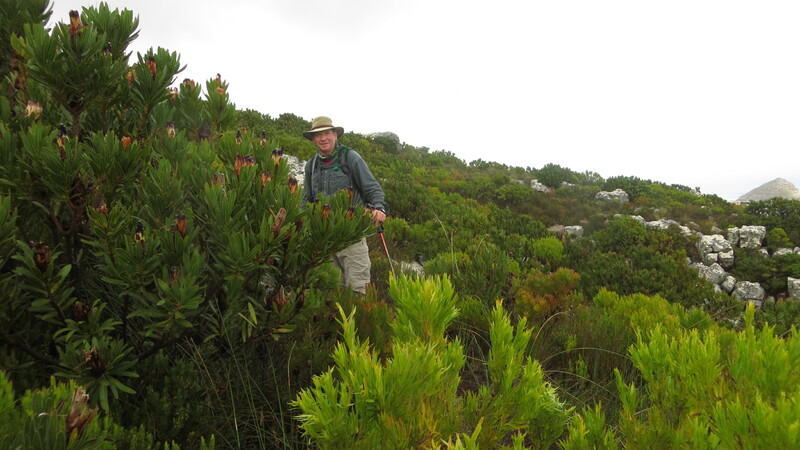 Ideal hiking for a warm winters day. 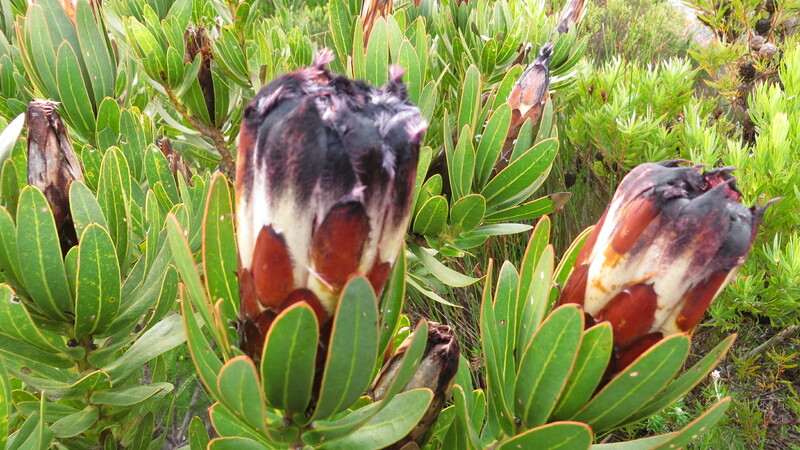 The trail starts at the Silvermine Dam, at the end of the tarred road that leads in to the reserve, with the first part of the walk along the edge of the dam, before a short winding path leads off a jeep track to the plateaux above. The path meets and follows the jeep track in few places and one has to be careful of mountain bikers who also use this route. 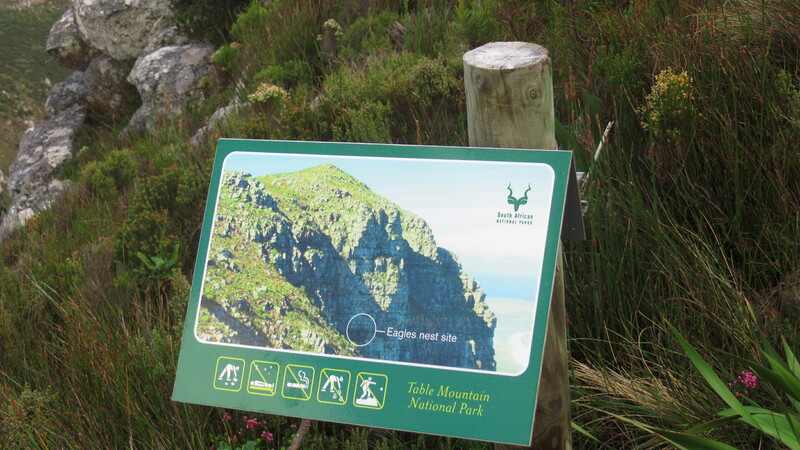 Eventually the path leads to the viewing platform at the top of Blackburn Ravine, with a much photographed view over Hout Bay. The circular route branches off shortly before the platform, leading up to the ridge above. 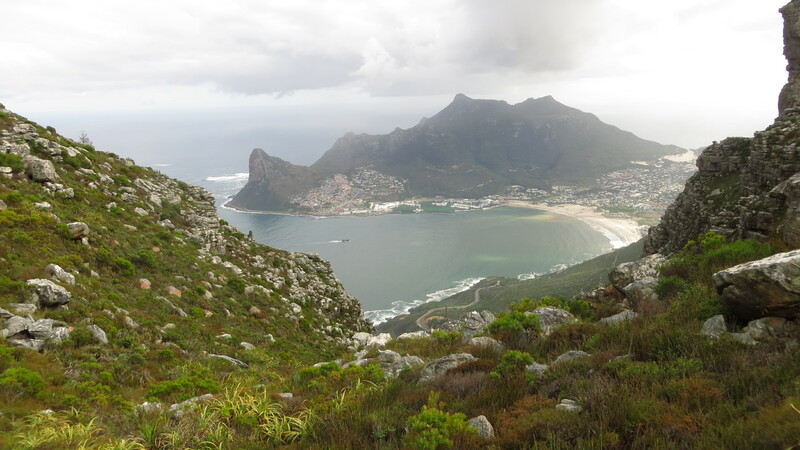 It is a walk of about an hour from here to the highest point at Noordhoek Peak. 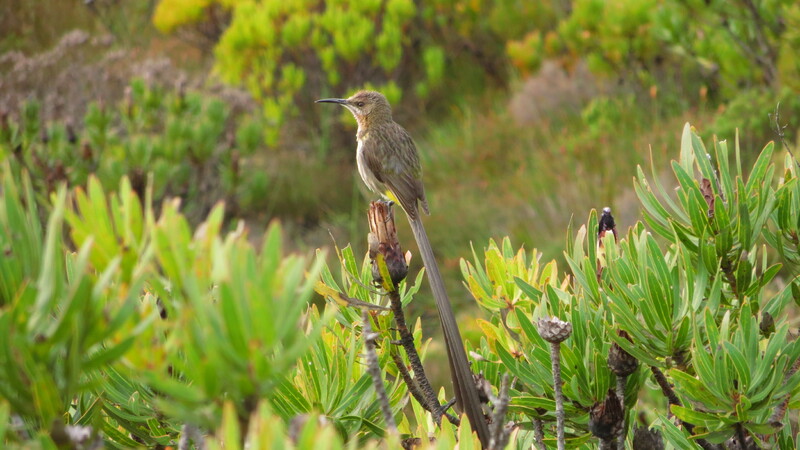 The views over the Atlantic coast are quite spectacular and include a designated viewing sight of the nesting place of a pair of black eagles (the nest can only be seen, not reached). From Noordhoek Peak the path follows the jeep track for while before the path branches to Silvermine Ridge and back to the dam and car park. The hike takes about 3½ to 4 hours.